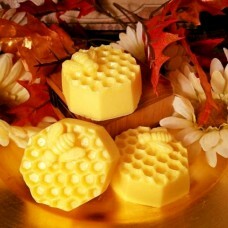 You get three of these adorable HoneyBee Melts, each melt can be cut into pieces for several uses. These will come packaged in a Karft Bakery bag with window and tied with homespun. Super duper cute and available in all our wonderful fragrances. These will come in the color of the scent you choose.